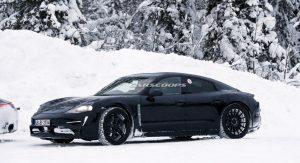 Work continues on the Porsche Mission E as a prototype has been spied undergoing testing alongside a next-generation 911. 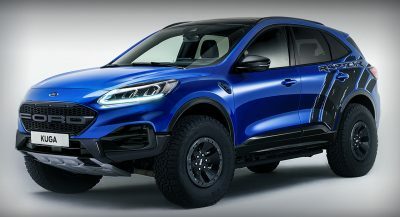 Previewed by the Mission E concept, the production model has a familiar design but adopts a less aggressive front fascia with conventional headlights. Moving further back, we can see a rakish windscreen, front fender vents, and a greenhouse that remains relatively faithful to the original concept. Despite having a number of styling cues from the concept, the production model has traditional door handles and an increased ride height. 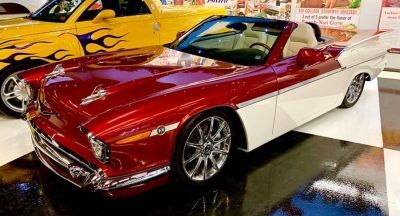 The concept’s aggressive aerodynamic styling has also been dropped while the rear end has been reworked. 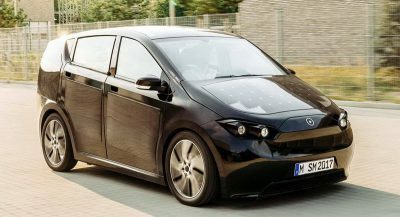 Reports have indicated the car will come with two electric motors and three different outputs. 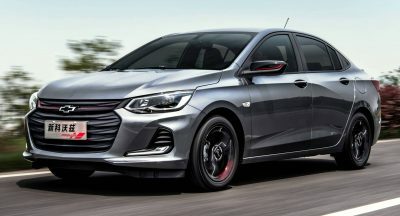 The entry-level model is expected to have around 402 hp (300 kW) while the mid-level variant should develop approximately 536 hp (400 kW). 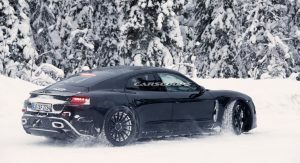 There are also plans for a high-performance version with around 670 hp (500 kW). 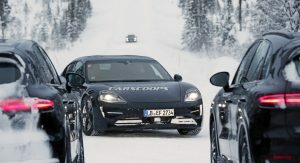 All of the models will have all-wheel drive but the company could introduce a rear-wheel drive variant after launch. 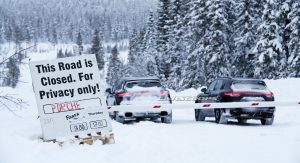 Porsche is also targeting a 300 mile (482 km) range and is working on a rapid charging system that will give an 80% charge in 20 minutes or less. The Mission E is slated to be launched in 2019 and U.S. pricing is expected to start between $75,000 and $80,000. 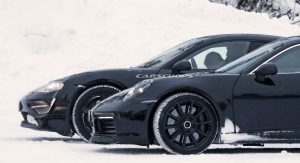 That’s a new 911 Turbo, isn’t it? Also, the Mission E looks nice. Ah, well I did shoot pretty high there, didn’t I? Yeah, no scoop behind the door, that’s the dead give away. I believe the turbos are fixed spoiler. There is just something about a gaggle (even prototypes) of new Porsches. Can’t explain it. It is not like the ME concept was practical for production, I would say this is plenty aerodynamically aggressive. This is the real Pajun or modern 928. These side vents! They look odd. Why they need it? Especially so visible and in my opinion cheap looking. I hope that they are a part of the camouflage like the “exhaust pipes”. Apart from that the car has the potential to be the real 911 with 4 doors. Also I hope that they will keep the front lights as close as possible to the Mission E.
So why does it have exhausts? It doesn’t. It’s a disguise. Lovely concept designs shame they get so diluted for production. Their designer giveth but their bean counters taketh. On the last picture the road is said to be reserved for porche ? Why are there porsches all over the place then ? The Mission e will look very much like the concept – that picture is NOT a Mission e – it is a mule. Aside from too large of an ungainly front overhang, the Mission E is shaping up to be quite the eye-catching looker. 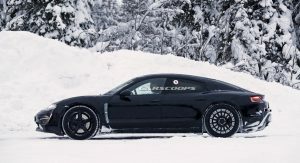 Porsche seems to have yet another winner on their hands. 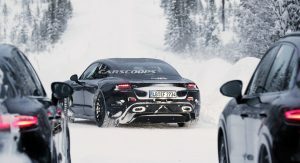 Looks nice?BIG car manufacturers are imposing four – doors for small cars makers,in change of more profits and sales this is the death of the pure-sports car and coupés with 2 doors,in more pure form and shape this is a absurd!!!!! Uh, excuse me, please, but… that ‚Mission E‘ looks a lot like a Panamera to me.